This outfit is the ultimate in transitional dressing. Yellow is such a fresh shade to add to a winter to spring wardrobe. It's more flattering than you might think. I really like yellow on me - for some reason its one of those shades that lacks in my wardrobe but I do really like. I think it compliments my skin tone well and looks fresh and brightening. It adds a much needed colour pop to my monochrome wardrobe. Im making a mental note from now on to add more yellow into my wardrobe. You should too! Love this outfit! I really need to start utilising dresses as skirt! I'm loving yellow so much at the moment- it's quickly becoming my favourite colour. Such a lovely outfit! I love your skirt! Also love how you put the outfit together. you pull off the yellow jumper so well. I always worry i'd be too pale for it. 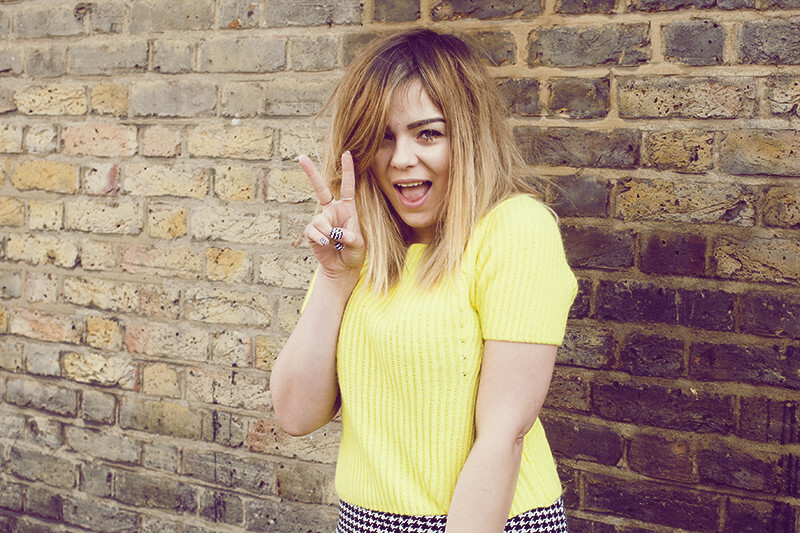 I love this look, that yellow jumper is so cute! love the way your nails match your dress! i'm always really scared to wear yellow, just one of them colours i dont think suits me! I feel like i need a white beanie now you look so good in yours! Oo I love this outfit! Yellow really suits you :) I have a pair of yellow jeans (with cats on them!) but otherwise I never wear it. I really should though it's such a brighten-your-day-up colour! My mum has a few obnoxiously bright yellow tops and looks great in them but I don't think yellow really works for me. I've tried practically every shade of yellow going but I think my skin is just too pale for it. I love the yellow jumper! I really like wearing this colour aswell :) I think it brings out the colour of my hair (I'm a brunette). I love your nails, and that jumper suits you very well! I love this outfit. It is gorgeous! 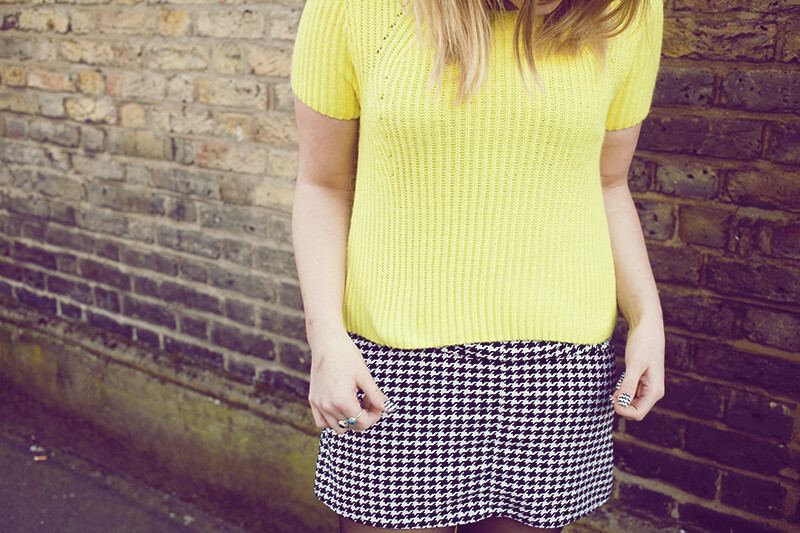 loving the yellow, I have a cute yellow Zara top from last year which I can't wait to wear when it's warm enough! 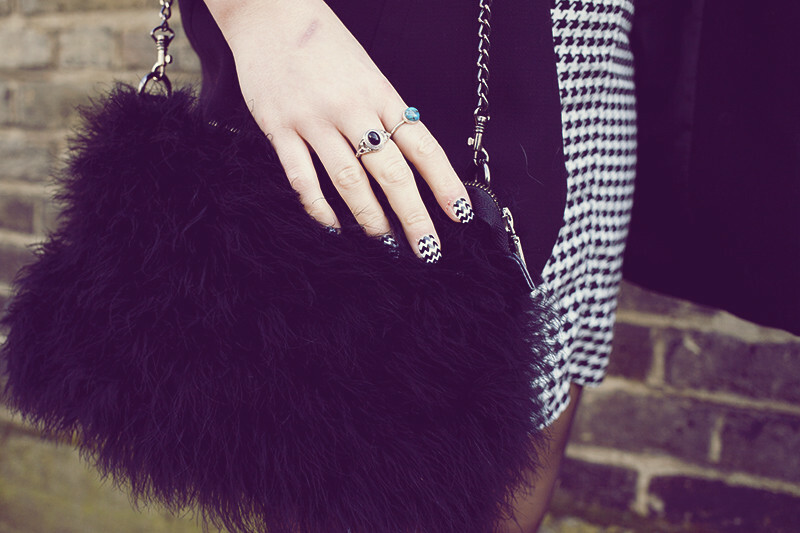 such a cute outfit and the nails bring it all together! need to find a way to make my dip dyeish bob look like yours, it looks so lovely maybe i need to stop cutting it myself! I completely agree, everyone should defo wear yellow more - it's such a wonderful colour! 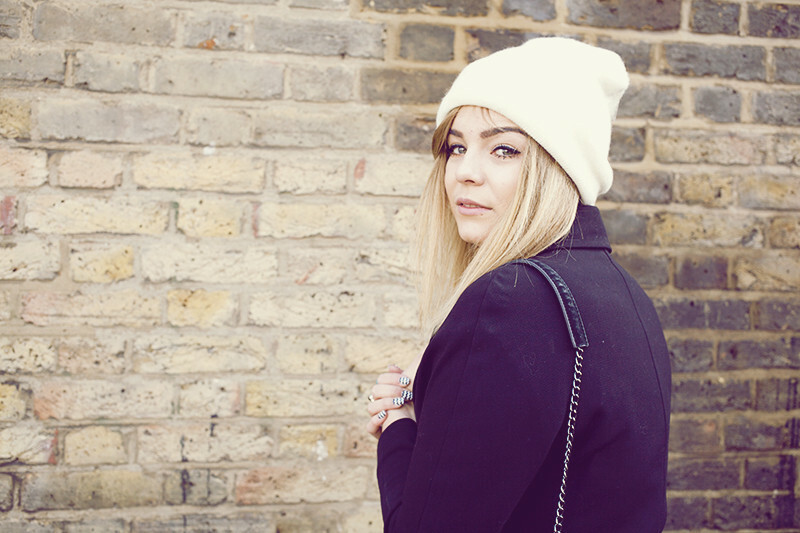 i love the coat and beanie, so cute! Yellow looks so great on you! I wish I could rock it but yellow just looks so off on me. LOVE those nails! Definitely need some of myself! I love the nails and the yellow. Your nails are too cool! I love yellow on you as well! In love with the yellow and the prints ! I've been wanting a yellow jumper for so long but it's just a colour I've never thought I could pull off. Maybe that's because I don't own a single yellow piece of clothing. Maybe I'll give it a try this spring! Such a nice colour and I love your skirt! Yes yes yes. 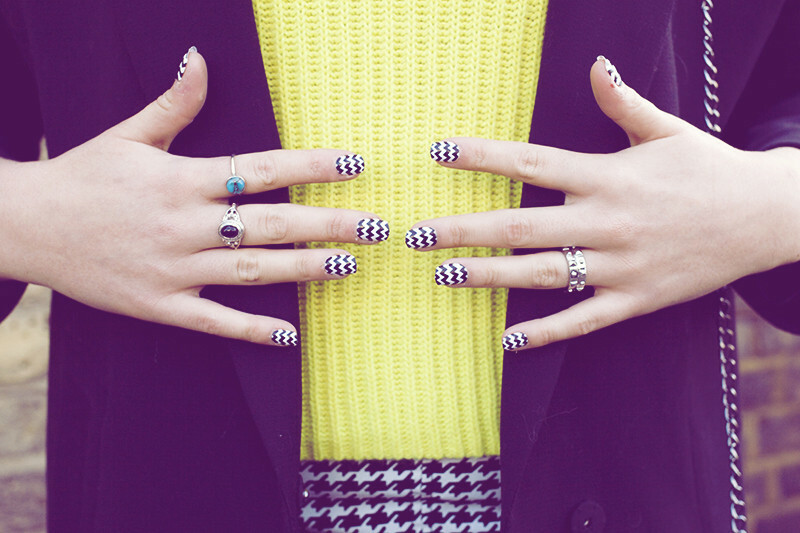 With the yellow and the patterned nails. Amazing!x Love the pop of colour! I love wearing yellow because it's such a bright and happy color that you can't help, but feel delightful!! I am absolutely loving yellow with monochrome at the moment and your outfit just settles it - I need yellow in my wardrobe. Gorgeous post! Yellow is one of my fav colours - but everyone seems to hate it haha! Yellow definitely does look great on you.